On May 19, SUPERFRONT in partnership with First Street Green hosted a competition to decide which artwork would occupy the space this summer. Although still awaiting approval from the Parks Department, the winning design will likely be installed from July through August and will be open to the public on the weekends. Urban Forest replaces tree trunks with mirrored poles and leaves with transparent panels to represent and reflect the movement and public exchange of the park’s visitors. 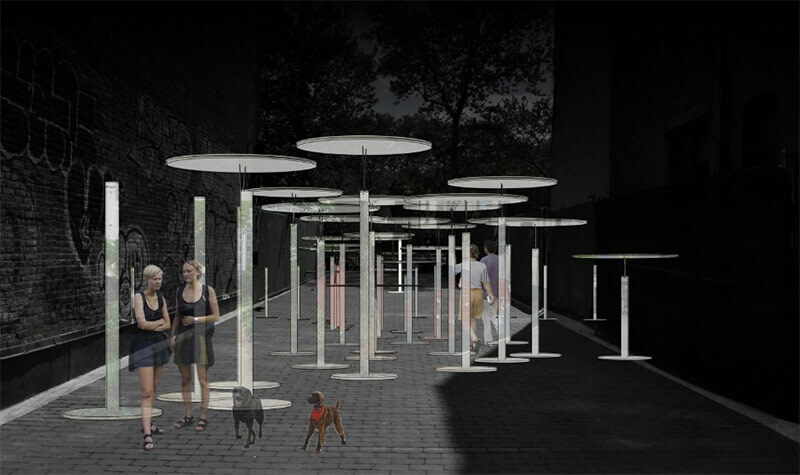 First Street Green co-director Silva Ajemian explains that there is a “piece at the very top of each pole that is lightly held to the post so it waves a little bit with the air and atmosphere.” The project emphasizes the intimacy of physical contact and draws attention to the urban and community context. Yang and Kim’s installation will serve as a stage for events such as workshops, lectures and meetings managed by First Street Green. The temporary art project is flexible in that it can be raised to different heights. The site of First Park was, up until a couple years ago, an unused lot inhabited by rats. 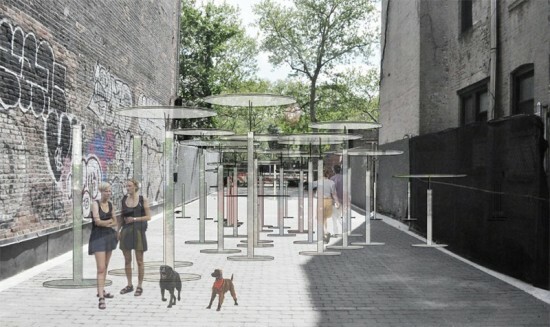 In 2011 the Guggenheim Museum brought its traveling “lab” to the park and the space has been transformed into a functional public space that serves the Lower East Side community. SUPERFRONT will plan events themed to the artwork and the concept of “urban movement.” The installation will be presented to Community Board 3 on June 13 and will require final approval from the New York City Parks Department.